What are Baytril Taste Tabs? Baytril Taste Tabs are used to treat many types of bacterial infections. It's a fluroquinolone antibiotic used for infections of the urinary tract, skin, prostate, GI tract, liver, and lungs. Baytril Taste Tabs are sold per tablet and require a prescription from your veterinarian. NOTE: Baytril is also available as Baytril Otic (ear) drops. How do Baytril Taste Tabs work? Baytril is a fluoroquinolone antibiotic. Fluoroquinolones interfere with bacterial DNA metabolism to kill the bacteria. Do not use in pregnant or nursing animals. Do not give Baytril with vitamin/mineral products or within 2 hours of giving an antacid or sucralfate. 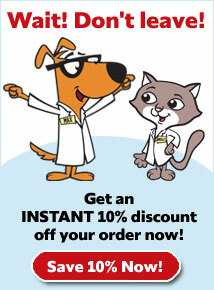 Tell your veterinarian about any other medications your pet is being given. Do not give Baytril to any pet other than the pet for whom it was prescribed. Baytril is not for use in animals allergic to it or other fluroquinolone antibiotic drugs. Store Baytril at room temperature away from moisture and heat. Keep this medication away from children and pets. What is the most important thing I should know about Baytril Taste Tabs? 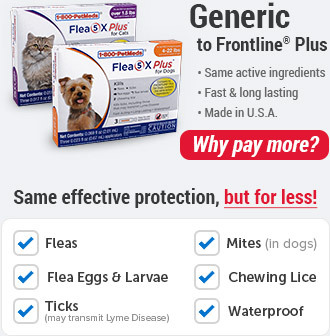 Baytril is a prescription medication FDA-approved for veterinary use in dogs and cats. 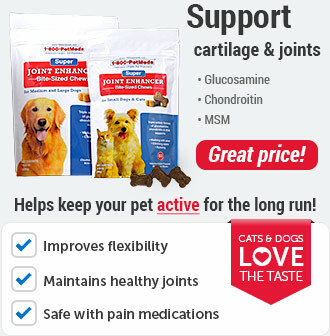 Baytril is available as 22.7 mg, 68 mg and 136 mg scored chewable tablets for dogs and cats. 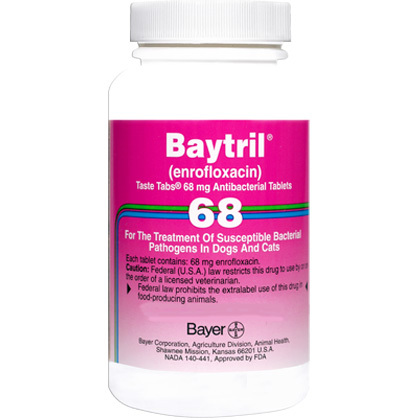 It is advised that Baytril should not be used in younger dogs during their rapid growth phase, approximately 2 to 8 months in small to medium breeds, 2 to 12 months in large dogs, and 2 to 18 months in giant breeds. 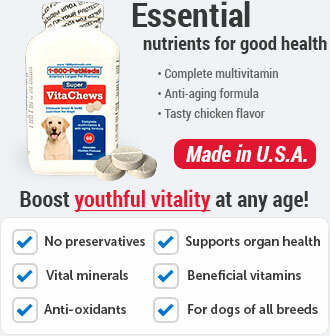 What should I discuss with my veterinarian before giving Baytril Taste Tabs to my pet? Tell your veterinarian if your pet has had seizures, or is pregnant or lactating. How should Baytril Taste Tabs be given? 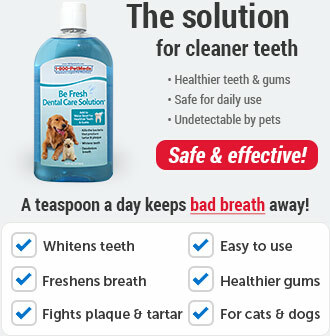 Give Baytril Taste Tabs exactly as directed by your veterinarian. The usual dose of Baytril for dogs is 2.27-9.07 mg/lb every 24 hours. The usual dose of Baytril for cats is 2.27 mg/lb every 24 hours. The dog and cat doses may be divided into two doses 12 hours apart. Always follow the dosage instructions provided by your veterinarian. Give all of the medication your veterinarian has prescribed. Symptoms may start to improve before the infection is completely treated. Allow plenty of water for your pet to drink. Do not exceed the maximum dose of 2.27 mg/lb per day in cats because of an increased risk of altered vision or blindness. If you do not understand the directions ask the pharmacist or veterinarian to explain them to you. What are the potential side effects of Baytril Taste Tabs? What happens if I miss giving a dose of Baytril Taste Tabs? What happens if I overdose my pet on Baytril Taste Tabs? Seek emergency veterinary medical treatment. Symptoms of overdose may include loss of appetite, vomiting, and diarrhea. 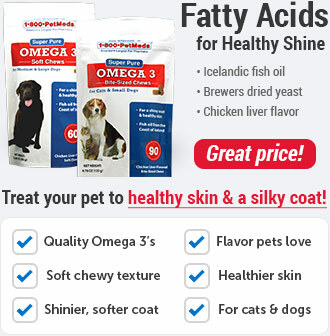 What should I avoid while giving Baytril Taste Tabs to my pet? Do not use Baytril in animals allergic to it or other fluoroquinolone antibiotics. Do not give Baytril within 2 hours of giving an antacid or sucralfate, vitamin/mineral products, or dairy products. What other drugs will affect Baytril Taste Tabs? Before giving Baytril, tell your veterinarian if your pet is being given warfarin, theophylline, probenecid, or phenytoin. When given with cyclosporine, Baytril can increase the risk of kidney damage from the cyclosporine. Drugs other than those listed may also interact with Baytril. Talk to your veterinarian or pharmacist before giving any prescription or over-the-counter medications. Baytril Taste Tabs, a prescription product, is an antibiotic used in dogs and cats to treat many types of infections cause by susceptible bacteria such as infections of the urinary tract, skin, prostate, GI tract, liver, and lungs. Use Baytril Taste Tabs with caution in young, growing puppies (2 to 8 months for small to medium breeds, 2 to 12 months in large breeds, and 2 to 18 months in giant breeds). Do not use in pregnant or nursing animals. Baytril is available in 22.7 mg, 68 mg, and 136 mg Taste Tabs. Baytril is also available asBaytril Otic(ear) drops. Give 2.27 mg/lb by mouth either once a day as a single dose or divided into two doses 12 hours apart. Give 2.27-9.07 mg/lb by mouth either once a day as a single dose or divided into two doses 12 hours apart.